Ashlee Ammons and her mother Kerry Schrader are the founders of Mixtroz, an app that alleviates the awkwardness of networking events by connecting attendees at mixers based on their interests. Two years ago, the mother-daughter duo left their corporate careers and embarked on their first entrepreneurial venture, building their tech company at a startup accelerator in Birmingham, AL. According to Ashlee, the journey has been incredibly rewarding—but it hasn’t been easy. The two have shared a bed most of this year in order to save money for their business. 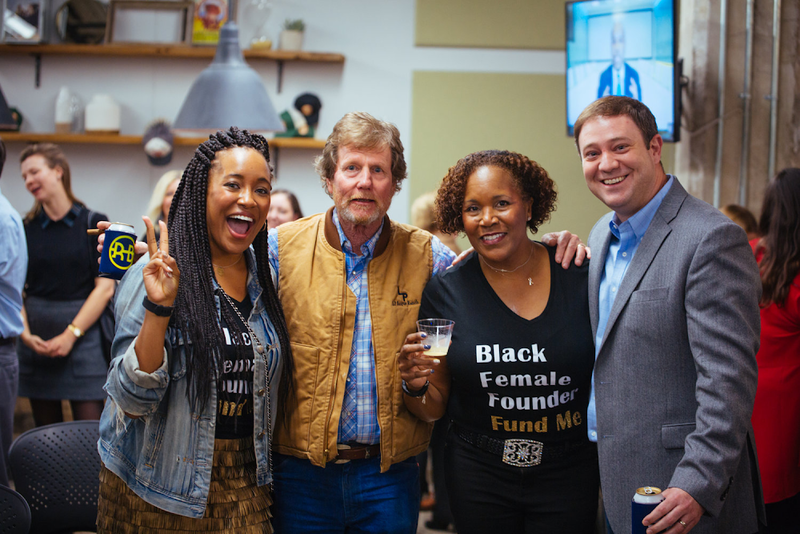 But last week, Ashlee and Kerry took a huge step forward when they secured a $100,000 investment from AOL Founder Steve Case during the Rise of the Rest pitch competition in Birmingham. They plan to use their new funding to grow their team and build out their technology. Most certainly, they’ll be buying a new bed. Since 2014, the Rise of the Rest tour has traveled to 38 communities outside of Silicon Valley and New York, where startup communities are gathering momentum and building great technologies. Each stop of the tour includes visits with leading startups and ecosystem builders to better understand what helps and hinders founders in that community, followed by a pitch competition for local entrepreneurs to raise funding. Rise of the Rest is a member of the Google for Entrepreneurs partner network, a collection of tech hubs, accelerators, and programs to help entrepreneurs create economic opportunity for everyone. From Detroit’s Grand Circus to Durham’s American Underground, we provide financial support and Google resources to startup communities that equip and nurture entrepreneurs. 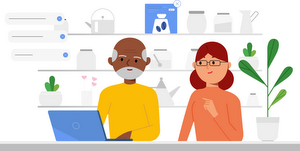 As part of this effort, this year Google for Entrepreneurs was proud to send graphic designers and coaches to help prepare entrepreneurs like Ashlee to deliver their pitch to Rise of the Rest investors and partners. In 2017, startups in the Google for Entrepreneurs partner network created 3,017 jobs in the U.S.—up 50 percent from 2016, and they raised $300 million in funding. In our work with startup teams around the U.S. and the world, we see that the desire to work hard and build a better way to do something knows no geographical bounds. We also know that when founders are successful, not only do they build great products for users, they also improve their local economies. Last year, startups in the Google for Entrepreneurs partner network created 3,017 jobs in the U.S.—up 50 percent from 2016. They also raised more than $300 million in funding in 2017 alone. Entrepreneurs like Ashlee and Kerry are making great ideas a reality around the country, and we’re proud to support them as they build the next generation of technology that pushes our world forward.